Blogging can benefit small businesses in every industry. While it can take significant time and effort to produce results, starting and maintaining a small business blog can help in gaining exposure and business leads. Blogs can help in many ways. They showcase your knowledge, enhance your credibility, create a foundation for building a community, customer relations, building trust, position your company as an industry leader and more. More importantly business blogging helps boost your website’s search engine rankings and help generate local business leads. The return on the investment is directly related to how many blog posts there are, how well optimized they are and how well they appeal to your target market’s interests. In other words, how much thought, time and work you put into it. Blogging is a powerful business marketing tool. Why? Because it can produce more traffic and leads. The more pages a website has, the more keyword terms it can potentially rank for. Since each blog post is a new page, running a blog overtime creates more and more content for search engines to crawl and index. Each blog article gives you the opportunity to move up in search for a different set of keywords. So what is the impact on the bottom line? Well…it depends. 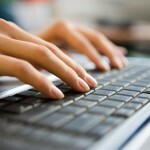 It depends what you are blogging about, how well you researched your keywords, how many blog posts you post and more. There is no one answer. The only certain thing is that the more posts your blog has, they more keywords your site will rank for and the more leads your business will receive. A recent hubspot study published in December, quantifies to some extent the benefits of having a blog. The data was collected from over 7,000 webmasters who run business blogs. This graph shows how as the number of posts on a blog increase so does the traffic a website gets. 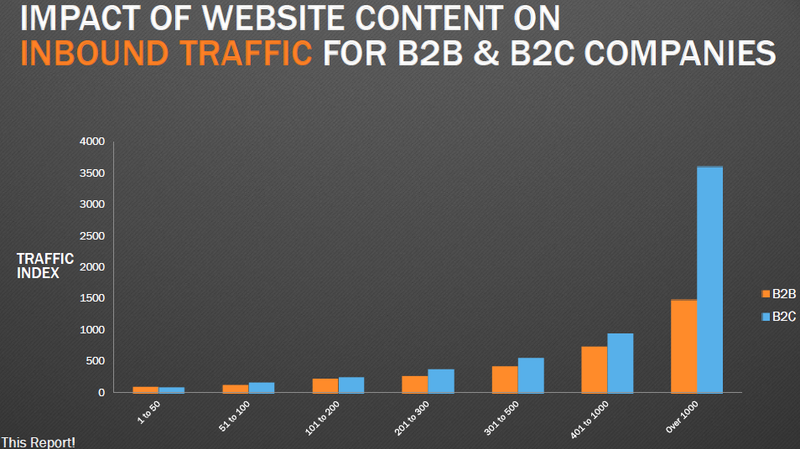 Traffic increases significantly after 50-100 blog posts. If you are just starting your blog be patient and consistent. It needs time and work to grow. 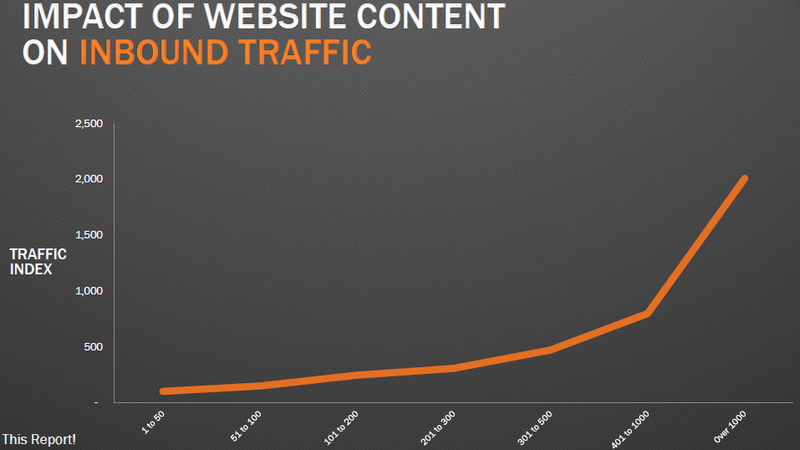 As you can see that traffic increases as the website grows, but really begins to accelerate at about 400-500 pages. This occurs for both B2B and B2C companies, it is more pronounced in B2C companies. 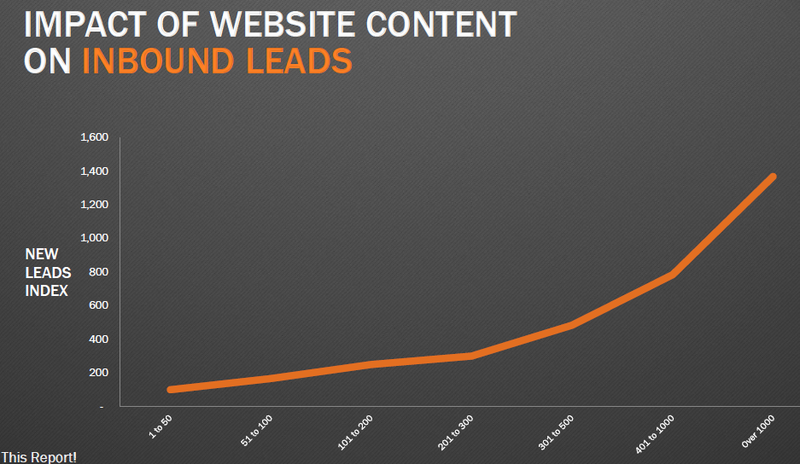 The result of the increased traffic is an increase in leads. The graph bellow shows that blogging increases traffic for small, mid-sized, and large companies, alike. However, it produces better results for businesses of smaller size. Blogging has the greatest impact on small businesses. This makes sense as most small businesses compete in smaller geographic areas and niche markets. Blogging more means that a company’s web presence can “dominate” its niche or hyperlocal digital marketplace more effectively. Aside from traffic and leads, blogging can help you build a more trusted profile online. It builds credibility A business blog showcases your expertise to your target audience. You, the business owner are able to show your high level of understanding of your products, your services and the industry. Publishing well thought out content positions yourself positioning yourself as an authority. If what you publish is worthwhile, your audience with relate your business services with the same values. It becomes part of your funnel. If promoted properly blogs attract traffic from either search engines or social media. Visitors that hit your blog for keyword terms relating to your services, are not necessarily looking for your services. They are looking for a solution to a problem, or a do-it-yourself fix. If your inbound marketing funnel is properly set up and optimized, then overtime you might convert a certain percentage into customers or clients. To sum things up blogging can help generate more traffic and leads. The more you post the more traffic your site will get, and the number of calls will increase. In addition, the benefits of blogging are greater for businesses of smaller size.